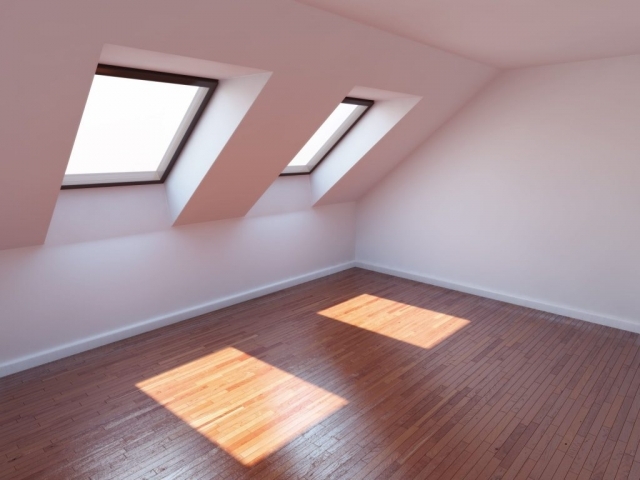 Imagine your dark home or commercial building flooded with natural light even on the dullest day, or your wasted attic space transformed into the brightest room in the building! You don’t have to dream it – you can actually achieve it simply and affordably by installing rooflights, skylights or glass lanterns. Abbey Glass & Windows are the experts in Bath and Chippenham when it comes to transforming dark corners into light, bright spaces by means of bespoke roof windows. As the architectural merits of installing glass lanterns and skylights become more widely known, along with the positive environmental impacts and a saving in energy bills, more and more customers are consulting Abbey Glass about fitting windows in the roof. Not only do you save on the cost of artificial lighting when you have skylights or glass lanterns in the roof, but very often they reduce heating bills too, being thermally efficient. More natural light is also good for you! Research has shown the benefits of having rooflights admitting natural daylight can reduce stress, improve your mood and induce better sleep patterns. Abbey Glass offers a vast range of options for glass lanterns and skylights, which can be fitted into flat or pitched roofs, adding aesthetic and financial value to your property. You can choose from sealed skylights that don’t open, or styles that pivot or swing open, allowing fresh air to circulate. 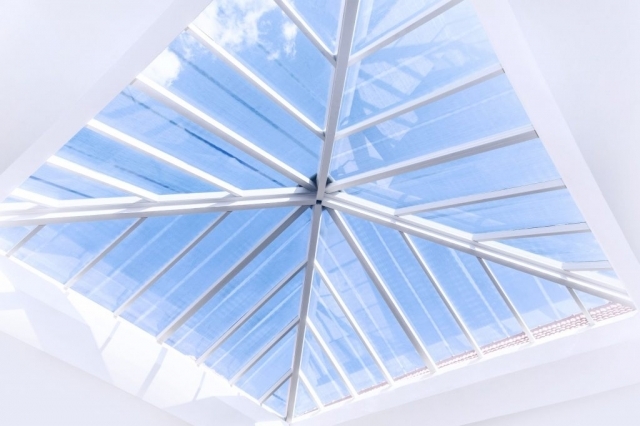 Size does not matter when it comes to roof lanterns or skylights because each is uniquely made-to-measure, and there are dozens of different styles available. The frames for the glazed skylights and glass lanterns come in uPVC, wood or aluminium, which can be finished in a vast choice of RAL colours. Most important for a new skylight or roof lantern is the choice of glazing. Abbey Glass, being experienced glazing specialists with access to suppliers of the latest glass technology, will be able to advise you on which is the most suitable for your needs. Glass used for skylights must be tempered or laminated, to be impact resistant and not able to shatter into large shards of falling glass if broken. Abbey Glass glaziers will be able to explain the various types of insulated glazing, heat-absorbing tints and low-emissivity coatings available when it comes to choosing glass for your new roof window. 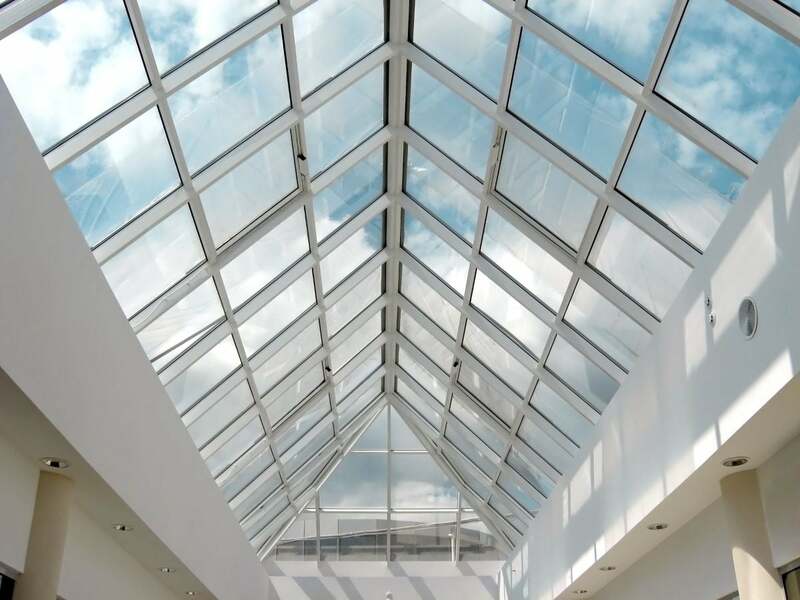 The ultimate choice of skylight glazing will depend on where the skylight is situated, which direction it faces and what functions you are expecting it to perform. 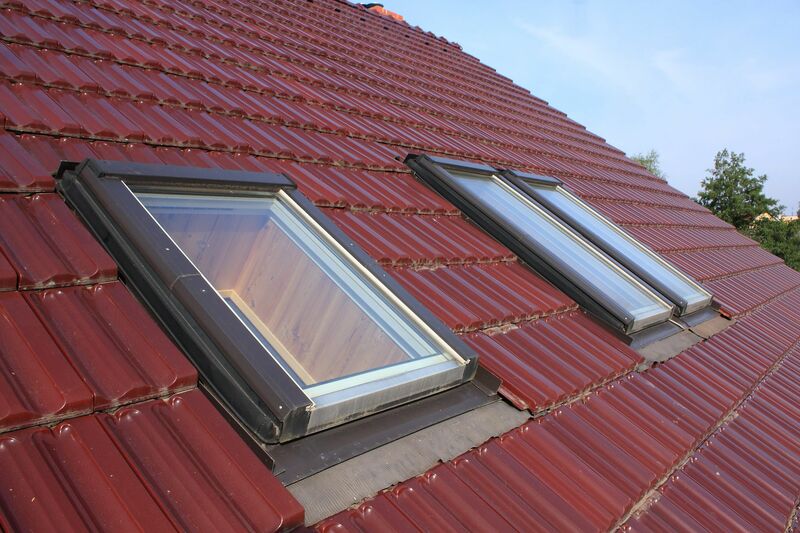 If you are considering joining the modern trend towards a lighter, brighter, eco-friendly living environment by means of installing skylights or glass lanterns contact Abbey Glass & Windows for a quote. We mostly operate across Gloucester, Wiltshire & Avon, but will gladly accept work in any area eg. Enfield, Newcastle etc.